Nuthatch, originally uploaded by Laura Whitehead. 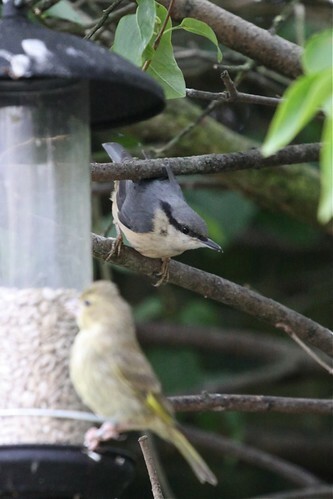 Nuthatch briefly appeared at the far end of the garden a long time back during the winter. Have heard it around, but not seen, until today. It appeared near the main feeding station just by the house, and stayed for a good long while, exploring and feeding.